Your loved one may not be ready for long-term care but they may need care for a short period of time. It might be that you are planning a holiday or maybe they need a little extra care after a hospital stay. A short stay will give them the care and attention they need until they are ready to return home. Before coming for a short stay at a Hallmark care home, every resident completes ‘About Me’, a booklet that gives us a great insight into their history, hobbies, likes and dislikes. 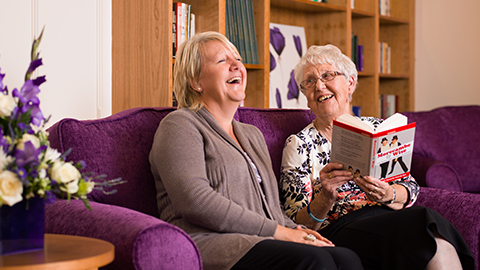 Residents tell us it’s an enjoyable trip down memory lane to fill out – and for our care team it’s an important first step towards building a strong, supportive relationship. It also helps our experienced care team to develop a care plan that meets the needs and wishes of each individual. 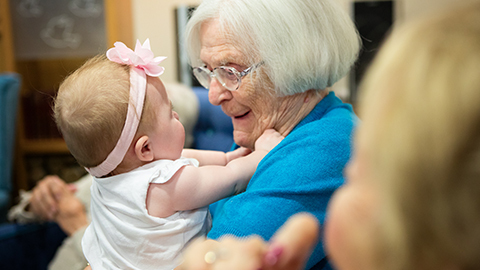 Even though your loved one will only be with us a short time it is important to us that they can continue to enjoy the activities and lifestyle that they always have and have the opportunity to experience new activities and interests with the support of our inclusive community setting. Our homes offer a wide variety of activities, clubs and lifestyle choices that are tailored to individual needs and residents are free to choose as many as they wish. Our lifestyles team ensure that regular favourites are punctuated with new experiences, so throughout the week there are always things to do. 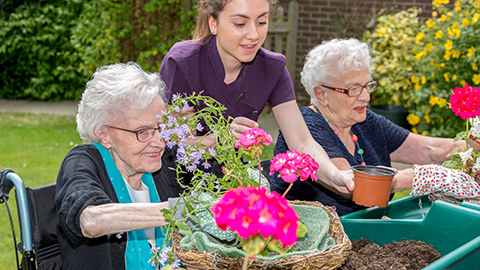 Activities can vary from a relaxing afternoon tea and arts and crafts to gardening, cooking, exercise classes and outings to local places of interest. For five years running, Hallmark Care homes have won the prestigious Pinders Healthcare Design award for ‘Best Care Home’. Most of our homes offer a range of beautifully designed facilities including a state-of-the-art cinema, hair and nail salon and relaxing therapy room. Some even have a corner shop, so that residents can continue their everyday routines in familiar settings. Residents and their family and friends can also enjoy fresh coffee and homemade cakes in one of our friendly, vibrant café’s. To find out details of your local Hallmark Care Home, click here and enter your postcode.